There they go again! 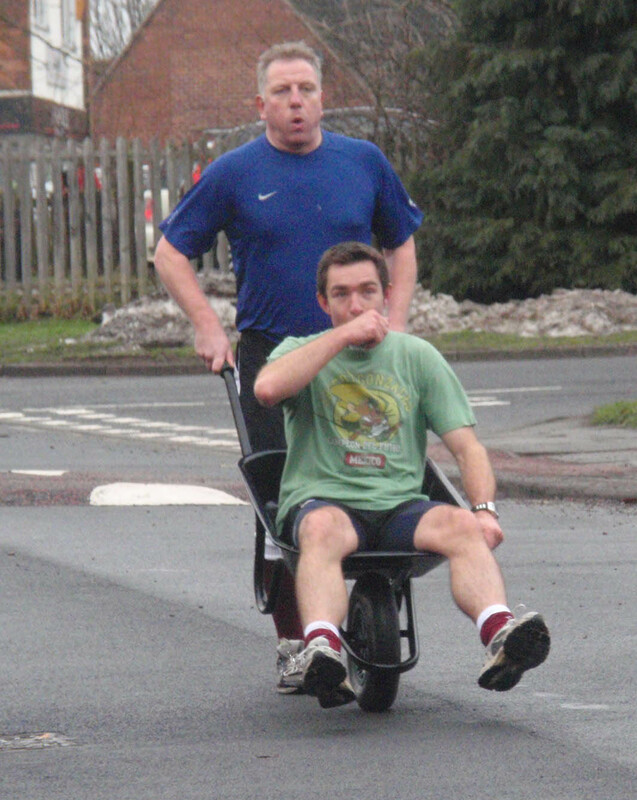 Alan Redman and Andrew Pybus won the wheelbarrow race, starting from the Blackbird Inn, for the fifth year running. Where is the competition? 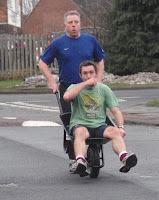 There were only 5 wheelbarrows racing this year and there was no snow to put off possible entrants. Last year there was six inches of snow overnight which made for a tricky race. And to emphasise the superiority of the winners' families their sons, Oscar Redman, 14, and Dan Pybus, 13, won the Junior race. 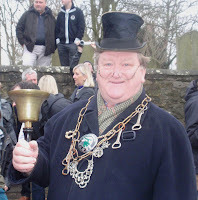 The Lord of Ponteland for the day, Philip Jackson, who looks superb in the role, clanged his bell at noon to start the gruelling race and about ten minutes later the winners were coming down Thornhill Road at speed to be greeted by the biggest crowd for years. Lots of news and greetings were exchanged as everyone seemed glad of an excuse to come out and mingle and cheer on the competitors. 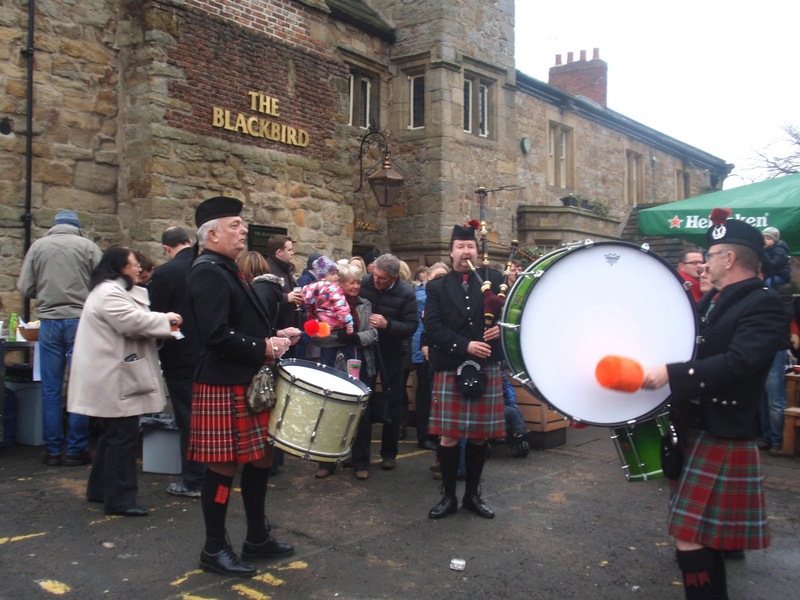 The Blackbird Inn hired some Scottish drummers and a piper to amuse the crowd who could also refresh themselves with mulled wine and a variety of food. The Ponteland 41 Club and the Rugby club who organised the event raised £440 for charity.